News & Education / What's the best time to sell a house? Many of us buy our homes thinking we'll live there forever. But sometimes our circumstances change, and when they do, we're faced with the potentially daunting task of selling our home and moving elsewhere. If you're looking to sell your house, you may be wondering when's the best time of the year to do so. And there are several factors that go into that equation. First, you have your own family's needs to consider. You may want to time your move to coincide with the end of the school year, for which selling in the spring or summer makes sense. You should also take the local real-estate market into account and aim to list your property at a time that's likely to give you the best sale price and appeal to a large number of prospective buyers. For example, if the number of homes sold in your neighborhood has historically peaked in April, then that's a good month to aim for. Here, we'll delve into the benefits and drawbacks of listing your house at various points during the year so you can land on the ideal time to sell it. 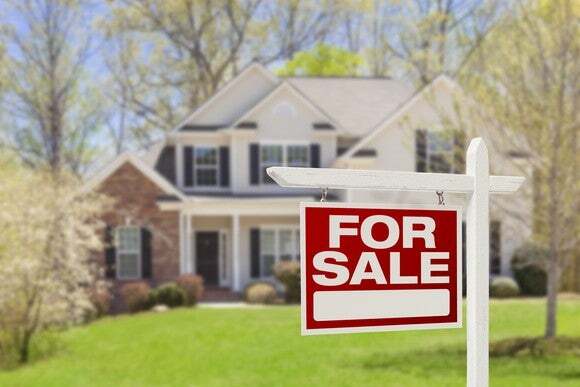 Zillow reports that the best time to sell a house to get the highest price and minimize time on the market is in the spring -- specifically, during the first half of May. But that doesn't tell the whole story. Though homes listed for sale during this window sell nearly two weeks faster than average, and for an extra $2,500 to boot, a big part of that has to do with weather-related factors. In parts of the country where all four seasons exist, spring has the advantage of attracting potential buyers who are done hibernating and are ready to do the legwork of visiting homes in person. Houses also tend to have more curb appeal in the spring, when flowers are blooming and grass is vibrant and green. But in some parts of the country, seasonal weather doesn't come into play nearly as much, and if that's what you're dealing with, you'd be wise to work with a local real-estate agent to understand what factors influence home prices and time on the market in your area. DATA SOURCE: National Association of REALTORS. As you can see, prices peaked during the warmer weather months and declined during the fall and winter. Keep in mind, though, that mortgage rate changes can play a role in determining home prices as well. When mortgage rates climb, buyers often get spooked, so there's less demand for homes, thus driving down prices. Still, this data can give you a general sense of how the housing market tends to fare seasonally. Incidentally, Zillow reports that the best day of the week to list a home for sale is Saturday. From a buyer availability standpoint, that certainly makes sense. As such, Saturday and Sunday are also the best days to host an open house. Another good reason to sell your house in the spring is that families with children generally prefer to move at a time when the school year won't be disrupted -- namely, summer. However, it usually takes 30 to 60 days or more from the time a home contract is signed to the time its actual closing date arrives. Therefore, families eager to move during the summer will need to find and make offers on their homes several months prior. On the flipside, selling your home during the spring could work against you if your neighborhood is saturated with competition. This especially holds true if your property doesn't have any distinguishing features that give it an edge. By contrast, if you sell at a time that's less popular, you might land in a scenario where your house is the only one of its kind on the market for months. If you have buyers who are desperate to move to your area and can't wait, you stand to command a higher price. Many of the benefits of selling a house in the spring apply to the summer as well. Mild weather in many regions of the country lends to more active buyers and increased natural curb appeal. Families looking to time their moves so as to not break up the school year can search for homes in the early part of the season and close in time for September, and many people find that their workloads decrease during summer, thus making it more feasible to dedicate time to a home search. On the other hand, because many folks tend to travel during the summer, you may not see the same number of interested buyers as you would during the spring. In some parts of the country, prohibitively hot weather makes shopping for a new home unpleasant in July and August, so if your summers tend to be extreme, you might choose another time to list your home. If there's one benefit to selling your home during the fall, it's the lack of competition. Having fewer homes on the market could help you score a higher selling price, especially if you happen to encounter a buyer who needs to move immediately. Similarly, families without school-aged children won't have the constraints of the school calendar holding them back, so you might see a decent amount of foot traffic to your home as buyers aim to move before the cold weather sets in. That said, most families with children aren't looking for new homes in the fall because that's when they're settling back into the school year, so you'll lose a host of potential buyers in that regard. If a key selling point of your home is the school district, that's a reason to list it at a more opportune time. Generally speaking, winter is the least popular time to list a home because that's when the weather is at its worst, but that can work to your advantage on the competition front. If there are few homes on the market in your area, you might command a higher price if you find a buyer who's eager to move quickly, whether for job purposes or another reason. On the other hand, people tend to hibernate during the winter, which means you might see a less active stream of prospective buyers if you list your home then. Houses also don't tend to look as nice when the weather hits hard. If you have lush landscaping or a great backyard, you can't show it off during the winter. If you're planning to sell your house in the near future, you might consider hiring a real-estate agent to assist. There are several good reasons to take this route. First, selling a home is a time-consuming process. You have to list the home, market the home, stage the home, host an open house, and coordinate showing times with potential buyers. However, a real-estate agent can do all of this for you, thus saving you time and, in some cases, money. Take home staging, for example. It costs $2,000 to $2,400 a month, on average, to stage a 2,000-square-foot home, according to Realtor.com. Some real-estate agents, though, will do this for free. A real-estate agent might help you get a much higher price for your home than you'd get on your own. First of all, real-estate agents tend to know the local market inside and out, and they'll be able to play up the unique features of your home that might lead to a higher number. They'll also price your home strategically so that there's room to negotiate with buyers -- something you may not be as equipped to do on your own. Speaking of negotiating, most people looking to buy homes do so with the help of an agent, because there's no cost to them. As a seller, you might need or want help going back and forth with other real-estate agents who are representing prospective buyers. Of course, there's a major downside to hiring a real-estate agent, and it's none other than cost. Most real-estate agents will charge a 5% to 6% commission of your home's sale price for their services. This means if your home sells for $500,000, you'll lose $25,000 to $30,000 right off that bat, and that's a sizable chunk of your proceeds. Keep in mind, though, that some agents might be willing to take a lower fee, and that in some cases, your agent might score you a high enough selling price to make up for that fee. There's no rule stating you must hire a real-estate agent to sell your home, so if you're willing to put in the legwork, you can save yourself a large amount of money by avoiding that commission. To sell on your own, you'll need a way of letting people know your home is on the market, and the easiest way to do so is to list your home on the Multiple Listing Service (MLS). The MLS is a national database that lets prospective buyers search for homes based on criteria such as geographic location. You don't need to be a real-estate agent to get on the MLS, though. In fact, there are several low-fee services that allow owners to list their properties themselves. But selling a home without an agent isn't for the faint of heart. Selling a house can be a full-time job unto itself, so if you have a separate full-time job to go to, that may not work. Furthermore, when you sell your home solo, you risk pricing it too high and turning buyers off, or pricing it too low and losing out on potential proceeds. Finally, when you sell your home on your own, it'll be on you to determine what steps need to be taken to facilitate that transaction. For example, you'll probably need a certificate of occupancy before you sell, which is just one of several hidden costs you might encounter. A real-estate agent can walk you through these requirements, thereby eliminating guesswork and stress, but if you don't hire one, you'll need to sink even more time into the process. Spruce up your exterior: The outside of your home is the first thing buyers will see, so make sure your curb appeal is solid. Trim your grass, get rid of weeds, and plant some flowers if the season allows for it. Similarly, pressure-wash your siding, repair dangling shingles on your roof, and restain your fence if it's looking worn. Declutter: The less junk you have lying around in your home, the more spacious and inviting it will look. You should especially aim to declutter in areas that buyers tend to prioritize, such as kitchens and bathrooms. Removing rarely used appliances from your kitchen counters, for example, will give the impression that there's ample space, whereas loading up every inch of those surfaces will make your kitchen seem smaller. The same holds true for your closets. Buyers tend to love the storage, so clearing out your shelves will go a long way. Depersonalize it: If you've lived in your home for quite some time, it's probably a strong reflection of your personality. But remember that people want to create their own stories when they buy homes, so do your best to make your house look as generic as possible. This means taking pictures of your children down off the wall and removing artwork and decorative pieces that may not be somebody else's taste. If your home features less-defined spaces, do your best to keep them that way. For example, if your house has a bonus area that you've made into a playroom, clear out those puzzles and stuffed animals before people come to look. You might find a prospective buyer who's eager to have a home library, but if that space screams playroom, he or she may not see it that way. Invest in a thorough cleaning: There's nothing like ordinary wear and tear to make an otherwise nice-looking home seem grungy and uninviting. Before you list your house, bring in a cleaning service to not only remove dust and grime, but reduce or eliminate things like carpet stains and marks on your walls. Along these lines, consider replacing your carpets altogether if they're looking old and worn, or if they're not particularly neutral. Carpet is relatively cheap and easy to install, so investing a few hundred dollars might move your home off the market more quickly. Repaint: Painting is a cheap and easy way to breathe new life into your house. If your walls are looking worn or stained, it pays to pony up for a fresh coat of paint, which you can most likely apply yourself. Furthermore, if your walls happen to feature some offbeat colors at present, it makes sense to cover them up with more neutral tones. Even though aesthetic touches are easy to tweak, you never know what might turn off an otherwise interested buyer, and it would be a shame to lose out on a sale because of a single hot-pink wall. Update your kitchen and bathrooms: Unlike the aforementioned suggestions, which can all be pulled off at a relatively low cost, making improvements to your kitchen and bathrooms might cost a pretty hefty sum of money. But if you have a kitchen or bathroom that's glaringly outdated, it could be enough to send buyers running the other way. You don't necessarily need to gut your kitchen or bathrooms to entice buyers, but you might consider some small changes that add more appeal. For example, rather than replace your scratched-up cabinets, have them resurfaced at a fraction of the price. Or, swap out laminate countertops for granite or stone. Chances are, you'll recoup much of what you put in if you focus on these two key areas of the house. Selling a house can be a time-consuming, intimidating process, even when all goes smoothly. To make life easier during that time, maintain a list of the various things that you, as a homeowner, need to do to keep your space in top shape for potential buyers. This might mean waking up a few minutes earlier each morning to make the beds, take out the garbage, or do some last-minute tidying. It will take some effort, but remember that what you're looking at is merely a temporary inconvenience and that with any luck, you'll soon have a buyer for the house you were once proud to call home.